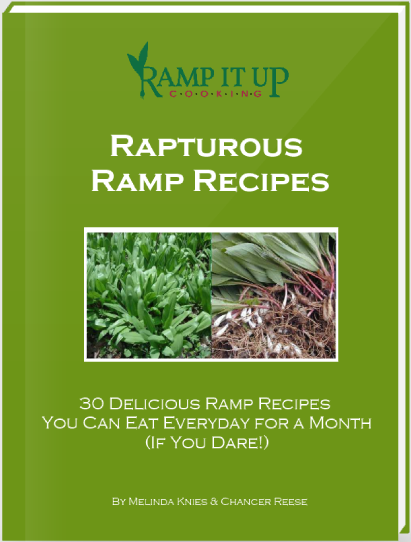 A disclaimer about this ramp pesto: Because ramps have such strong flavor, the oil and Parmesan in this recipe should be increased and decreased according to preference. 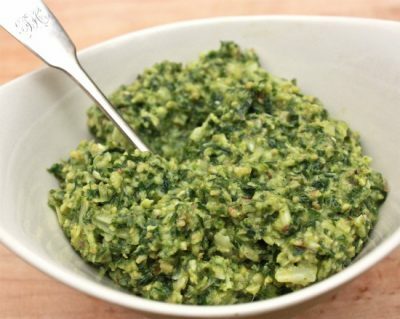 Put the ramps, pine nuts, and Parmesan in the bowl of a food processor fitted with a steel blade. Pulse 6 to 8 times or until coarsely ground. Move the ramp mixture to a bowl and stir in the olive oil, lemon juice and zest. Add the salt and pepper to taste. Store refrigerated in a glass jar for up to 5 days.